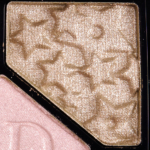 Dior Mystic Metallics Eyeshadow is an eyeshadow. 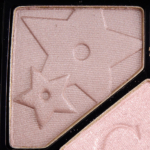 There have been 10 shades released, which you can select from below or jump to these sections: Review. 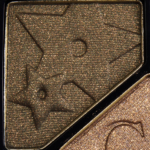 Probably the shadow I'll continue to use least in this beauty of a palette. 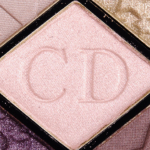 It's just not all that exciting and when I do an eye look, it's just not one of the shades I gravitate toward....for a light shade, I prefer using #2 in this palette - it's a colour that suits me better, I think, and appeals to me more. 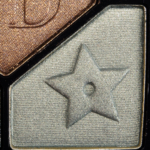 Unique and beautiful silvery blue-green shadow with sheen. 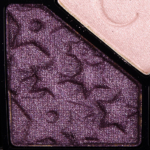 Oh so eye-catching and even used sparingly in a more toned-down look, it really works magic on brown eyes. 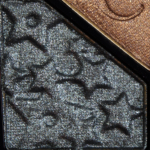 Of the 5 shadows in the Bonne Etoile palette, this one (top right hand corner) is the most shimmery/glittery. 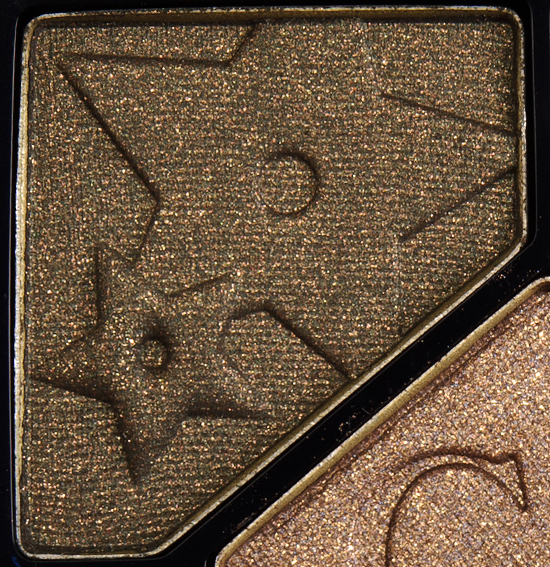 While the glitter is very smooth and integrated with the shadow and not the least bit gritty, because of the intense frost/glitter, it can tend to look a bit patchy when applied but for the most part, it does smooth out very well. 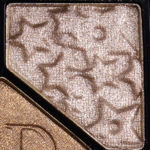 Not light enough to be a brow highlight for me but a beautiful shade for the "mobile lid" or inner 1/3 or to press onto the middle of the lid if using a darker shade. 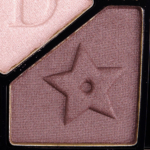 To my surprise, out of the 5 shadows in the Bonne Etoile palette, this turned out to be my favourite. 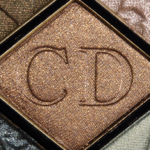 It's just "my" kind of colour - a burnished bronzey brown that is terrifically wearable even for daytime/work situations.